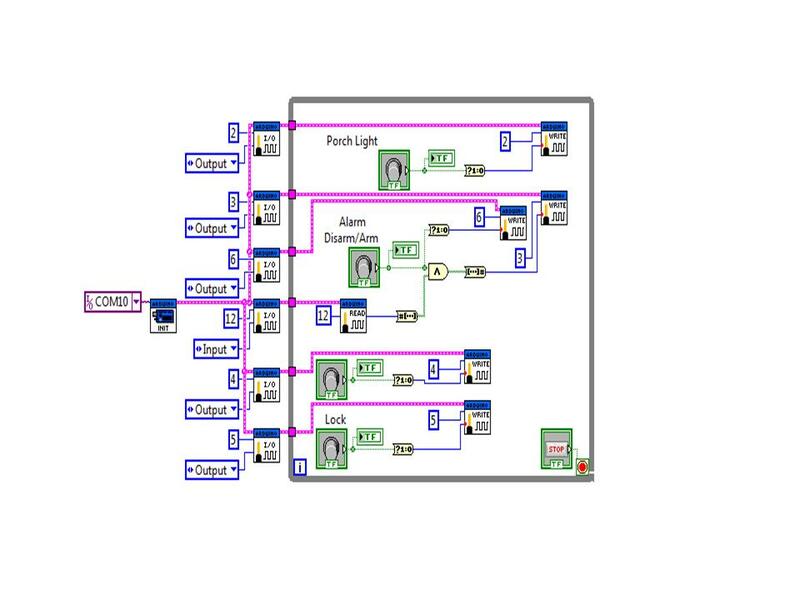 In this project we made use of an Arduino Duemilanove and LabView to design an easy to use graphical interface to represent a control environment that every home owner could use. 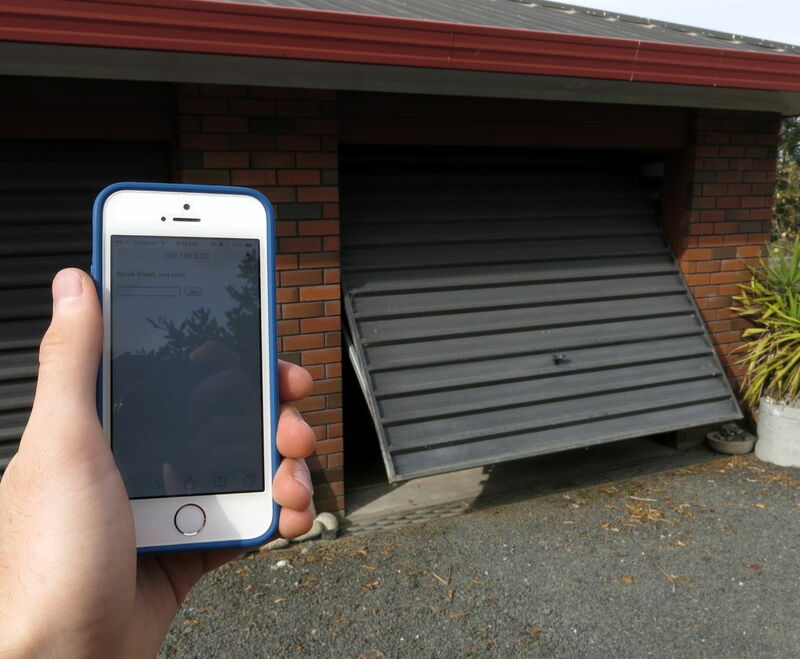 The rationale behind the development of this ideas was green engineering, saving on power consumption, and marketability and convenience. The only real necessary math we needed to consider was in designing our AC/DC converter. We needed to determine the necessary configurations to output a 12V DC signal from the 120V AC signal coming out of the wall outlet. Our logic structure can be seen in the LabView block diagram. Because of the nature of the LabView/Arduino interface the programming was not too diffficult. 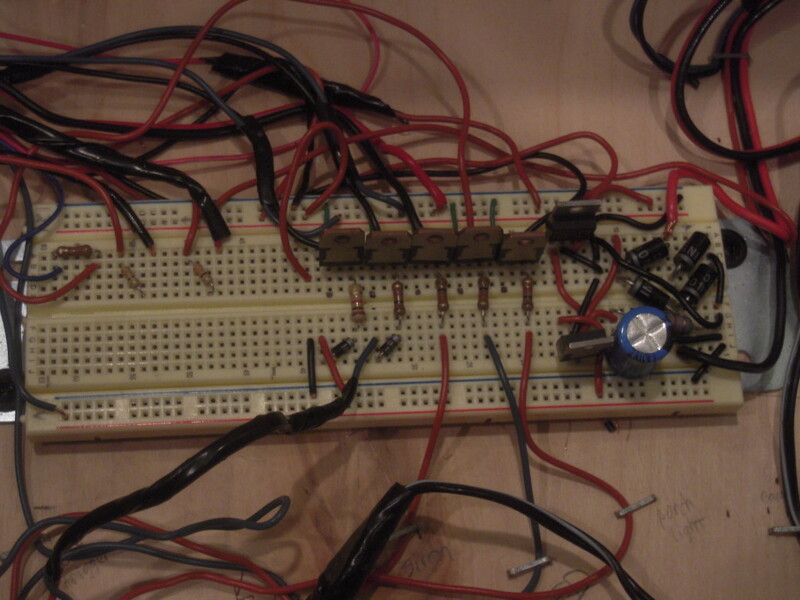 The only tricky part was in designing the logic for the Disarm/arm, input from pin 12, and output to pin 6 combination. Based on the detailed report to be submitted in conjunction with the completion of this class and the pictures to be posted the circuit could definitel be replicated and possibly improved upon. The execution of the program in relation to that of the real world hardware devices is nearly instantaneous. The major issues encountered with the overall design were in supplying enough current to run all applications at the time. For example the lights and alarm were okay to run at the same time but the actuator required so much current that it would not operate when the other components were active. By the design of the user interface this program is simple and easy to use for any body that knows how to push a button.